Enjoy a golf round with the perfect sports science. The world first outdoor golf simulator - Albatross C.C! 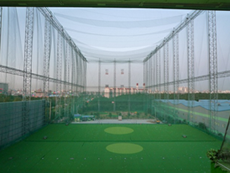 Are you still looking for pure practice in a driving range only? The traditional concept of driving range will change from now on! ・Practice and rounding: Can fulfill the entertainment of golf round as well as practice at the same time. ・Luxurized space ： air-conditioning room consists of luxury decoration and relaxation. 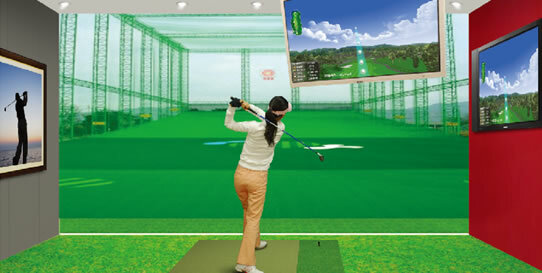 ・The best business tool: Combining the space of driving range and the merits of golf simulator, which create the best golf business. Consists 3 sets of high speed camera sensors which detect ball trajectory as well as spin accurately. 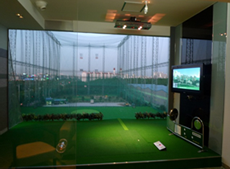 Include 2 sets of 50 inch wide PDP monitors, which provide player a reality of golf course on the screen. A hitting mat that do not need extra adjustment, which provide player a relax space while hitting. A high efficient all in one computer with built-in system. **Include the practice analyze system from Single maker. Consists 3 sets of high speed camera sensors which detect the ball trajectory as well as spin accurately. The latest high performance 5000ANSI projector. Composed of a 15mm thick rubber floor mat and tee designed to minimize shock. Consists of 29 golf courses, Stroke play, Match play, Skin mode, Course practice and Club practice. 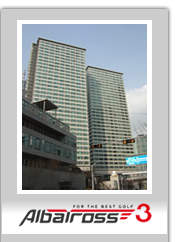 Copyright(C) 2011 GPRO Co., Ltd.